First, I need to start off saying that the respawn times I got came from the Forge editor. And while they are mostly accurate, particullary for the heavy weapons they appear to be inaccurate. Instead of 180 seconds, the correct times seem to be in he 120 seconds category. Also, the MAX amount of the weapons allowed seems to be bugged as well, in the video I showcase, the Concussion Rifle or *any heavy weapon* actually never respawns if I don’t let go of it. You can fire all the rounds, but as long as you are still holding onto it, the respawn timer never actually gets triggered. The respawn time actually begins when the weapon is discarded or despawns by leaving it alone for thirty seconds. I hope you enjoy the guide. My buddy and I worked as fast as we could to get all of this info done in a short amount of time. Luckily, we were able to snag the game early at a mom and pop gamestore. Haven’t gone online because we weren’t sure if that was a no-no or not. So having said that, let’s get into the table of contents. DLP (usually sold as rear projection sets) in the 15 MicroSecond area. OLED (Only afforadable in phones currently) in the 25 Microsecond area. So, I am obviously not listing every type of display possible, just the more popular displays commonly sold to consumers. The first four in the list can react extremely fast to changes in the display. The real problem is that LCD has largely been winning the display wars because it offers the best quality when considering price. So many of you may own an LCD, even one of those newer ones with 120Hz/240Hz OverDrive modes. Sadly, these don’t actually resolve the problem that LCD crops up. What you are doing is putting extra frames in between the actual frames the TV is receiving. Especially with Halo Reach, where they apply a motion blur as a processing technique to make the game look better, it results on some LCD OverDrive sets (like mine) to have a horrendously blurred image. This is what we like to call inverse ghosting and I recommend you just disable any OverDrive features that are available to your LCD. Now, if you do use an LCD, you still have some hope. In the video I did, I actually recorded video of movement differences between a wired and wireless 360 controller with a highspeed camera. I recorded the video at 210 frames per second and then counted the frames to see when I began pushing the analog stick and how long it took for that to translate into motion on the screen. And when I stopped pushing and counting how long it took for the screen to reach it’s final destination. My results show that using a wireless 360 controller on my TV, the time it takes for my action to reflect on screen was 176 MilliSeconds. Getting very close to 1/5 of a second. However, when I used a wired 360 controller, the time it took for my actions to reflect on screen was 143 MilliSeconds. Now we are a little bit above 1/8 of a second. Now you might not think that the difference between 1/5 of a second and 1/8 of a second is a big deal, but trust me it is. Some people may not notice it, but I have been playing twitchy games for quite a while and it is quite noticible. If you don’t believe me, you can check out the videos I took and count the frames yourself. Or if you happen to have a friend with a wired controller, try it out. I very much recommend a wired controller regardless of what display you are using. Lastly, please use a wired connection. If you can’t get a wired connection, it will do. However, playing with a true dedicated wire to the net will yield the best possible latency. Every layer you have between your Xbox and the outside world is another layer of latency. Obviously, switches and routers won’t add a terrible amount, but wireless connections *especially* considering your signel strength will determine the quality of your link. There are three levels of weapons in Halo Reach. These levels aren’t explicitly stated within the game, however it’s how I categorized them based on the general time they have for respawning. The light weapons usually respawn in the 30-45 second area. The medium weapons respawn in the 60 second area. And the heavy weapons respawn anywhere from 120 seconds to 180 seconds. Something new in Halo Reach is the inclusion of an expanding reticule or reiticule bloom. Certain weapons are more affected by this than others. The Magnum is in this case as you have a tougher time judging when you are within the accuracy boundry. shots at which point you can attempt a headshot. This applies to the DMR and Magnum. This is a call back to the original Halo: Combat Evolved game. You have a 2x scope on the weapon. Four rounds will drop the shield and a fifth to the head will bring your opponent down. This is a convenent based energy weapon. The Plasma Pistol is really your utility pistol. It’s single shot is all but useless, don’t bother with single shots. It’s charged shot is what is important. Try not to pre-charge unless you plan on expending it quickly. When the Plasma Pistol is overcharged, it begins to rapidly deplete the *ammo*. The Plasma Pistol only has 100 energy. When you continue to hold an overcharged Plasma Pistol you start to burn through 10 energy every 3.5 seconds. In 10 seconds, including, discharging an overcharged Plasma shot, you will have depleted 45 energy. It also takes a full 5 seconds to get the Plasma Pistol back into an overcharged state. If you are overcharging and the Plasma Pistol reaches zero, it will discharge the overcharged shot and the weapon will be useless. Because they added this penalty, the charged shot now travels far faster. In Halo 2 you could manage to dodge or duck behind cover to save yourself from a charged shot, It would be very difficult to prevent this now. It’s also worth noting that a charged shot will short-circuit all vehicles for a period of 3.5 seconds. And one melee attack will drop your opponent after their shields have been depleted. This is a very close to medium range weapon. The Spiker is a Brute Weapons that fires.. spikes. It does not have an expanding reticule which coupled with it’s rather large clip size makes it ideal for close to medium range situations. Because of it’s slower bullet speed, when using it to fire at a moving target in a medium distance, try to fire where the opponent will be, not where he is. No longer able to dual wield, however needle speed has been increased as well as homing ability. A full lock will be needed before firing to enable the homing ability. Time needed for an explosion to happen kind of puts this weapon directly in the medium range category. Too close and your opponent will probably take you down before you could dispense enough justice to make him pink mist. When your opponents shield is depleted, less crystals are needed to make them explode. The only reason I’m putting this in the light area section is because this is the weapon you spawn with, as the Elite’s spawn with a Plasma Rifle that is also classified as a light weapon. The Assault Rifle is actually an excellent starting weapon. The AR has pretty decent medium range abilities if you fire 2-shot bursts and can actually harass an opponent quite nicely. It’s quick rate of fire and relatively big clip size make it an ideal close range weapon as you can just spam bullets at your opponent and go for the melee if you empty out. Considering this is the starting gun for the Spartans, appropriate use of this weapon will help you own the map. Get VERY proficient at using this weapon. This is the Elite starting weapon and in my opinion not as good as the AR, still a decent starting weapon. The Plasma Rifle has no expanding reticule and has a very wide area of fire at all times. However, it’s rapid cool down time coupled with an extremely healthy ammo supply lend itself very well to a harassment weapon. Remember that energy weapons drop shields faster, although lack of accuracy takes away from this a bit, constantly spamming this weapon from a distance can try to suppress an enemy and work for a flank or to drop a grenade in. In close range, it’s rapid fire and long burnout time lend itself quite nicely to close range combat. Close to Medium range weapon. 100 energy  MAX ammo from beginning. This is the extended Plasma Rifle. It has a much faster rate of fire and does include an expanding reticule. However, it is my opinion that you shouldn’t treat this weapon like a Plasma Assault Rifle. Obviously, I’ve been working feverishly fast to get this FAQ and video done in time, so I could be wrong about it, but on the onset this weapon looks like the Plasma Rifle x2. It is an EXTREMELY powerful suppressing gun, you lose accuracy because of the slow bullet travel time, but you make up for it with the sheer volume of plasma shots you can volley at your opponents. Combine that with the only covenent weapon that has been able to *reload* and you see that the intention of this weapon isn’t successive bursts, but to run the weapon until it’s starting to overheat and then dump the heat and fire quickly again. This is what I’ve noticed again, I could be wrong if someone finesses it better. But right now, that’s how I plan on using the weapon. overall slightly faster fire rate while being within your accuracy boundry and it has a larger clip size at 21. The Expanding reticule is actually worse if you try to spam this weapon to much, but you can actually find the rythem to the expanding reticule faster than the DMR. I’ll explain that in the DMR section. The Needle Rifle is meant more for those who can’t keep up with people with better aim. Because if you can’t land a head shot, all you need to do is land three consecutive needle rounds after breaking their shield and they will explode. For many this is going to be your go to gun. The expanding reticule is such that it linearly ramps up until it plateus into a rythem you can maintain inside the accuracy boundry. So the first few shots you can squeeze off in greater succession but eventually you will slow down to a rythem to keep your accuracy. Five shots is all you need to drop your opponent. Become proficient with this weapon to properly own the map. Honestly, I didn’t even play the campaign so I couldn’t tell you exactly why this is a Covenent weapon because it largely resembles ForeRunner tech. However, it’s listed as such so we will treat it like that. The Focus Rifle fires a continuous beam that chews up energy quickly and overheats pretty fast too. It really doesn’t do very good damage to vehicles when a person is in it, however if you could master this weapon you’d be a force to be reckoned with. If only I could use a mouse! This weapon chews through enemies like butter. If you could keep the beam focus on an enemy it will take them down in two seconds. However, I can’t manage this. Mostly my gameplay revolves around lining up my shot and then strafe aiming. I can’t use this weapon effectively. I love this weapon. Not only is it destructive but a direct hit will cause your enemy to be shifted a few feet in the direction the shot was going. Really nice way to disorient your opponent while messing them up. This is a fantastic heavy weapon. Use this to gain access to areas that are heavily fortified or (re)gain control of certain areas of the map. Highly Recommended. This is the infantry rocket launcher. Don’t bother with locking onto vehicles with this unless you absolutely have too. Charging up 4 homing plasma grenades takes a bit of time and sometimes won’t even bring down a vehicle. It uses 1 more energy to fire 4 in one shot, but it doesn’t matter, you are limited to 12 regardless. This works amazingly well against infantry though. Get a lock, charge it for one second, let it rip. Kiss your enemy goodbye. Medium to Long range weapon. 12 shots. Hurdles slugs of plasma at your enemy. Don’t bother with direct hits, this weapon is all about the splash damage. Excellent use for entering heavily fortified areas or bunkered combatants. Please avoid using in tight corridors and only single enemies. If you absolutely must use it on a single enemy, do so. Fantastic close range weapon. Only uses energy on successful hit. 10 hits and the energy is depleted. When locked on, upon inititaing attack, you will lunch very fast at your opponent. Tie this together with the evade armor ability and you can hurdle a great distance and line up your lunge. Evade makes the energy sword a usable medium range weapon. This weapon is weird. It’s extemely powerful. It can do decent damage to vehicles. However, you CAN kill yourself if you hit a wall. It’s very powerful against one enemy, but because it lacks the quick kill that the energy sword does, you may just propel your enemy further away from you at which point they can kill you. Never go barreling in with this weapon. They will tear you up before you get to them. It’s great for groups of enemies. Best used with either Evade, Sprint or Jetpack abilities. Standard Issue close range human weapon. Point blank it will immediately take down an enemy, if it doesn’t you can chain together a rapid melee attack right after the initial shot. Careful when doing this at you have to wait a full second before you can begin firing again. While reloading you can discharge a shot immediately after putting a shell in. For dire situations only. It launches rockets. You have four of them. Don’t use in close corridors. Extremely effective against vehicles with lock-on technology. Not like Halo 2 where you had to hold down the attack. Just line up the target and the reticule will lock on. Fire. Can kill in one head shot. You have 12 rounds. For medium to extremely long range. Make’em count. Careful of the ricochet. Medium to Extreme Long range weapon. 4 in the clip with 2 extra clips. For getting into those hard to reach places. You can ricochet grenades off walls to attack your enemy without them seeing you. Pretty decent splash damage. If you also hold down the trigger button you can have a timed detonation. The plus effect of doing this is you can short-circuit vehicles like the Plasma Pistol and temporarily keep that vehicle out of commision. You could technically chain shots one after the other and keep a vehicle down for as long as you have ammuntion. Pretty handy. Medium to Long range weapon. Extremely accurate laser. And very powerful. And upon firing, instantaneous. Can destroy vehicles in one shot. You only have four shots. Much like the rocket launcher but without the lock on. However, you can techinically harass an enemy without depleting any ammunition. Not for very long as they will be coming after you. But still serves its purpose. Armor Abilities. AA. Good stuff. 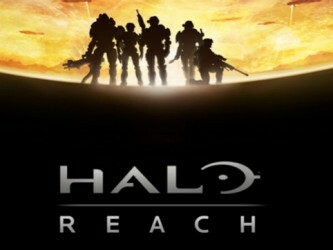 Hopefully in future patches of Halo Reach modders can forge different AA so that we could have a Team Fortress type of game type, it’d be kind of neat. Anyhow, let’s get on to Armor Abilites. Does what it says it does. You can sprint for about 5 full seconds. Takes about 5 seconds to recharge before you can sprint again. I still feel they need to tweak this ability. Either you need to sprint faster or for a longer amount of time. Feels underpowered compared to the other AA. Best places to use are in CTF games and hallway laden environments. For when you need to dart in and out of murder holes. This one is a mixed bag. Upon initializing this ability, it mutes your sound, scrambles the radar and applies active camo onto you. Scrambling the radar is a big sign that someone with active camo is in the area, muting the sound makes it harder for you to hear if someone is coming looking for you and the camo doesn’t work that well. You need to be standing still for it to fully work and even then, if it’s brightly lit they can still see you. The camo is really good for causing confusion and nothing else. It lasts a LONG time (45 seconds) and returns in 15 seconds. I think Active-camo is really a tag team ability. Use this with hologram and you will be setting up a lot of people. This is an awesome ability. It requires you to aim where you want your hologram to start running. It lights up the radar as if it was a real person and if you equip the Gravity Hammer before using your Hologram, EVERYONE will want to open fire on your hologram. It’s a great support ability. It lasts 12 seconds unless killed and the ability can be reused in 10 seconds. This is a fantastic offensive/defensive ability. No other ability lets you move this fast while also shrinking your target area. You could either advance faster to your opponent or dart away if they got the jump on you. Can be used consecutively. Recharge time is 5 seconds. This is a really good ability. Can help you gain access to a better fighting position. Travese certain areas faster than others by going over obstacles. Initiate a fight from above. Just be careful. Falling damage does exist. Last for 5 seconds, takes 6 seconds to recharge. Personal invulnerability for 5 seconds. Upon completion lets out a small EMP that will drain opponent shields. Has various uses, good for CTF games where you just need those 5 extra seconds for your teammates to come bail you out. Create a bubble shield whenever you want. Bubble shield lasts 15 seconds takes 20 seconds for it to recharge. Extremely effective for group coverage. Decent support ability. Alright, so what does “Own the Map” mean. I’ve been saying it for awhile as running the map as well. But, basically it means to control certain areas of the map to force your opponent to be at a disadvantage. How do you go about owning the map. Well, first it’s about knowing what and where everything is. You start off with light weapons and spawn points are designed such that early weapons are all light weapons. As both teams go inward to collect the heavy weapons, along the way you will be picking up the medium weapons. Basically get very good at using the AR/DMR/Needle Rifle. Secure the Heavy weapons. When you pickup the heavy weapon and especially when you discard it, timer’s are set for them to respawn. On the bottom right of your screen you should see a timer ticking down, make sure to make note of the time when you picked it up or discarded it. As that will dictate when the weapon will come back. In the next chapter of this guide I will list ALL of the respawn times followed by the max amount of that weapon at that point allowed in play, as well as the LOCATION of where the weapon can be found. Thankfully Bungie included in all the non-forge maps, names for certain areas. Please go by these naming conventions. It will help everyone be on the same page. If you need help, you can quickly call out to your buddies that you need help 3rd floor refinery. All of the times were taken from Forge mode. I’ve noticed that while the heavy weapons state that it takes 180 seconds for them to respawn, I’ve seen it more in the 120 second area. So this maybe a bug, like stated earlier. I’ll update this FAQ if and when I can confirm if it’s a bug or not. So now that you own the Heavy Weapons, you need to position your troops such that if they are close enough to a spawn point, it will force your enemies to spawn in a different location then where you and your troops are. So if your whole crew maintains a position, other people spawning are going to be at a big disadvantage because they will have to wait and regroup to be properly effective. Most teams don’t have this type of coordination. It’s imporant that you try to be cohesive as a group. So that’s basically owning the map. Don’t over extend yourself. You only need to own 60% of the map. Fortify your stronghold, keep an eye on the respawn timers for the heavy weapons and you will secure victory. Well the video contains a lot of this information, but I also highlight certain areas to further elaborate on things like the timer and location in the HUD. I also show off some vehicle stuff, because it’s quick and easy enough in a video setting that it doesn’t really need to be in this FAQ. I show stuff like reticule bloom on certain weapons. Respawn timers. The latency difference between Wired and Wireless controllers. There certain things that I just need to *show*. Those are left for the video. For the minute detail and spreadsheet like stuff, I put that here. Practice. You can use this as a primer, but everyone has a different play-style. Please don’t chuck grenades if your teammates are also fighting someone. Chances are you’ll just kill them and your teammate. +1 -1 = 0. That’s a zero sum game. And if your ally had some weapons, you just lost them and potentially securing that area. So please be careful with explosive ordinance. For goodness sake put the mic on. Talk to your teammates. Even if you don’t know the name of an area pick an easy to distinguish call sign so people can see you in the HUD. Just say, “where I am” say just about anything that will help keeping your group together as a whole. Well, first I hope you enjoyed this FAQ. My gamertag is Phawx so you can send me a friend request if you like. I don’t have very much time anymore. To give an example, I’ve played 3,000+ games in Halo 2, while I’ve only played around 250 games in Halo 3. Most of my time goes to work and my family now. However, gaming is my hobby so I always make time for it when I can. When new stuff comes out, I tend to play that stuff now. My skills have degraded since Halo 2. I guess that’s about it. gg. glhf. Sniper needs work, and there is 0 reticle for the sniper. However this guide goes into much greater depth than others, nice. Thanks for this! I really appreciate the info. As someone who is new to the game this information is priceless!